91108 on the 1D26 1803 London Kings Cross to Skipton at Frinkley Lane on the 23rd April 2015. 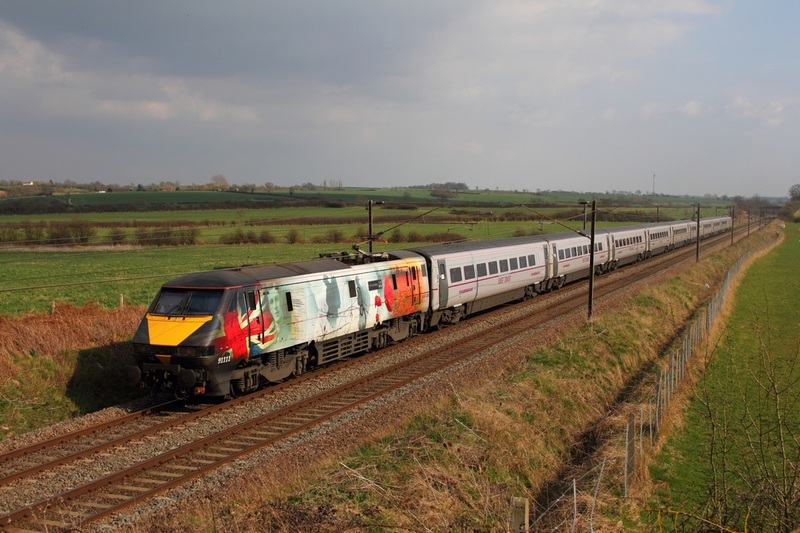 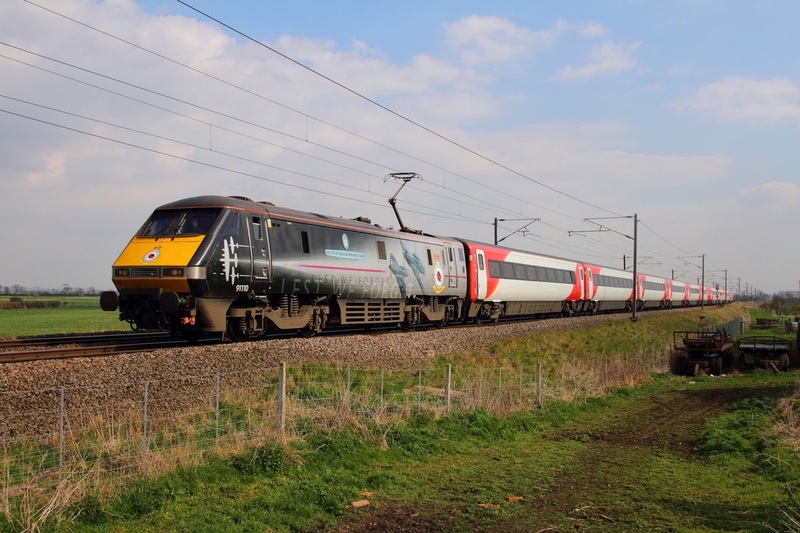 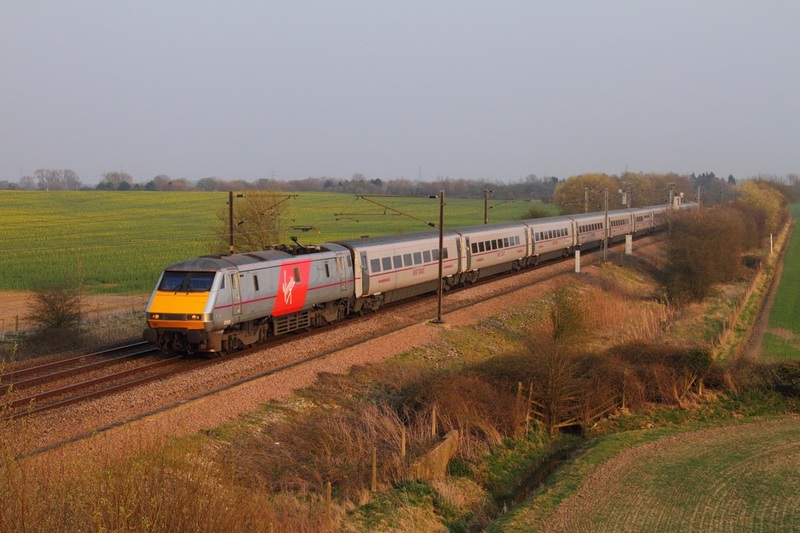 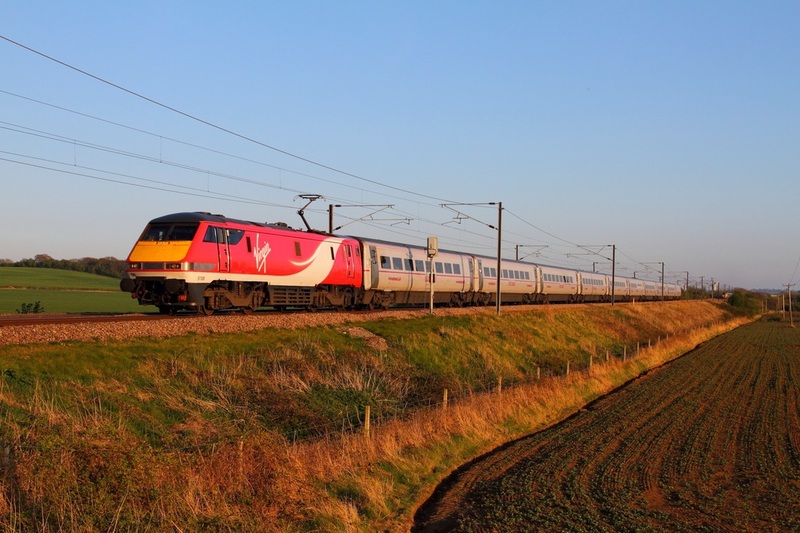 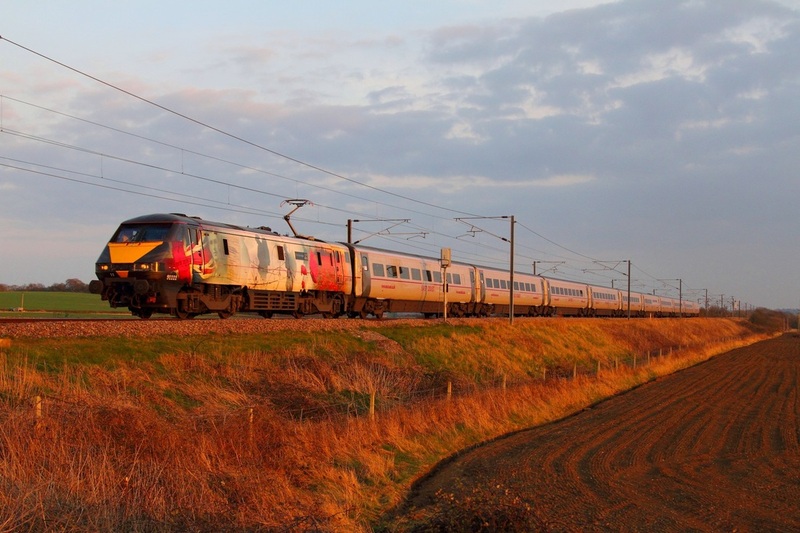 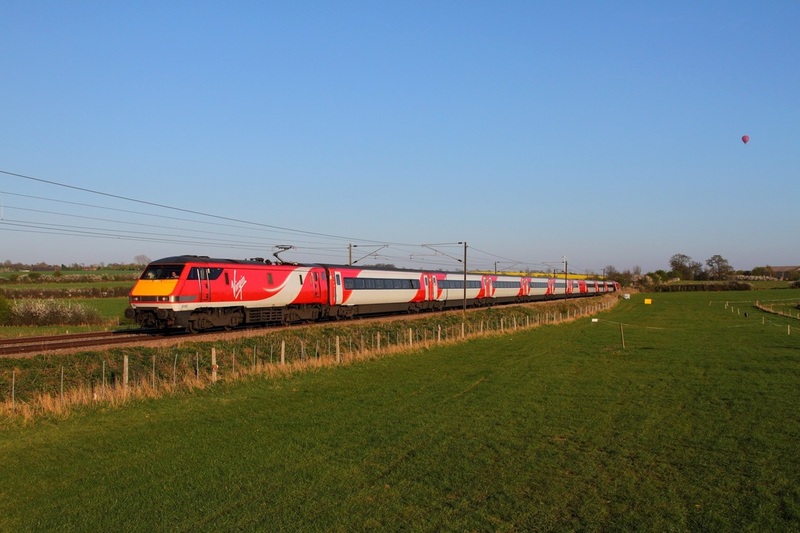 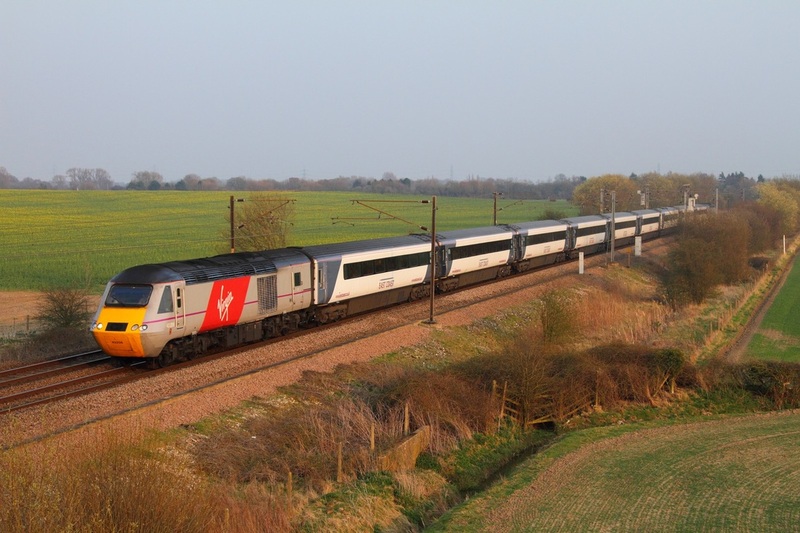 Virgin Trains East Coast 91105 on the 1N27 Kings Cross to Edinburgh at Hougham on the 23rd April 2015. 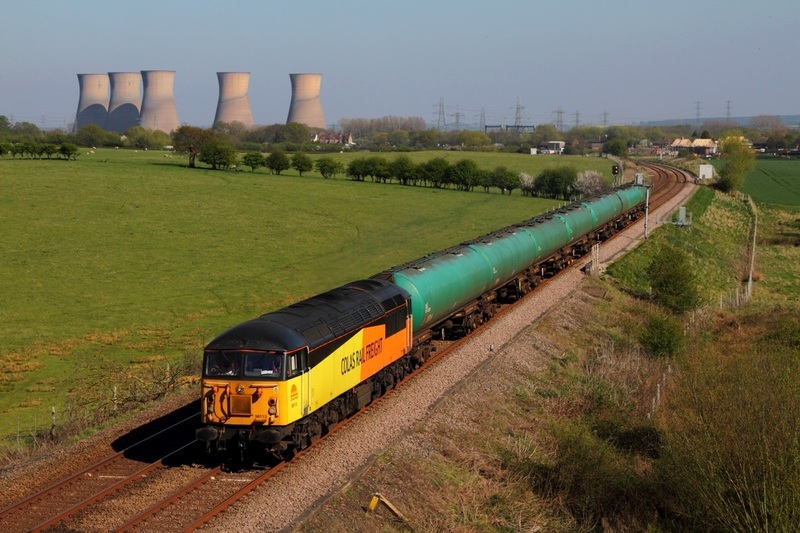 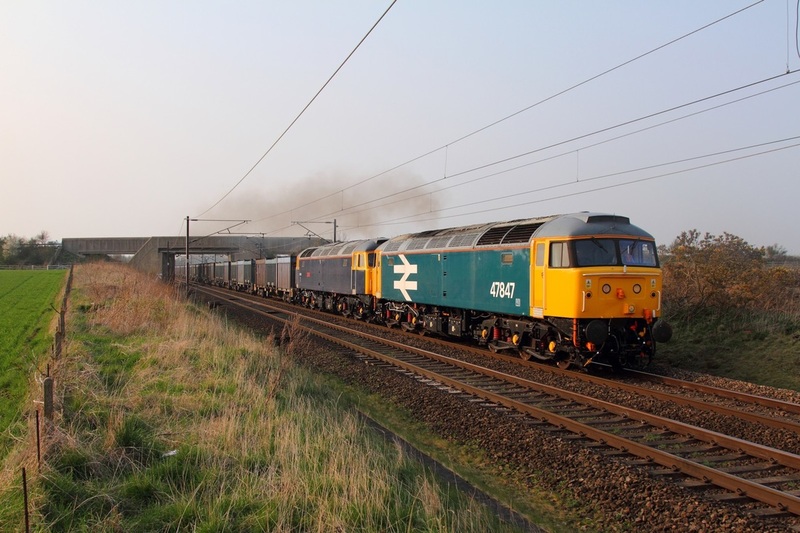 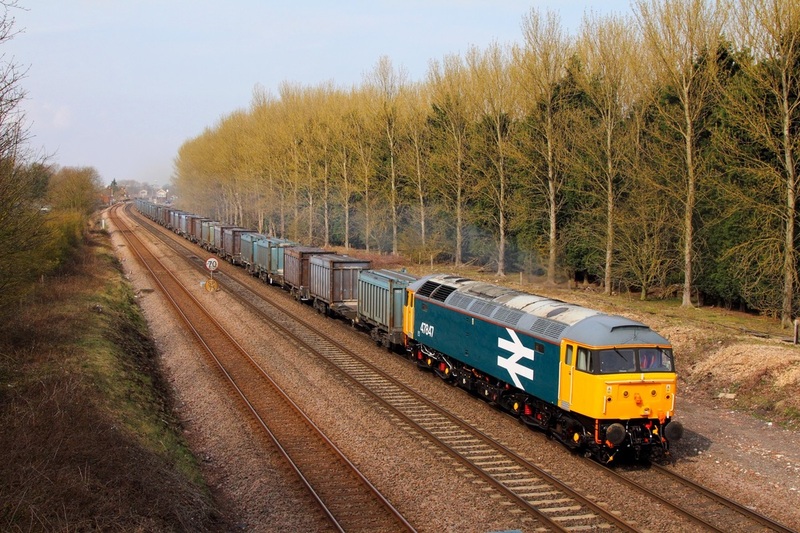 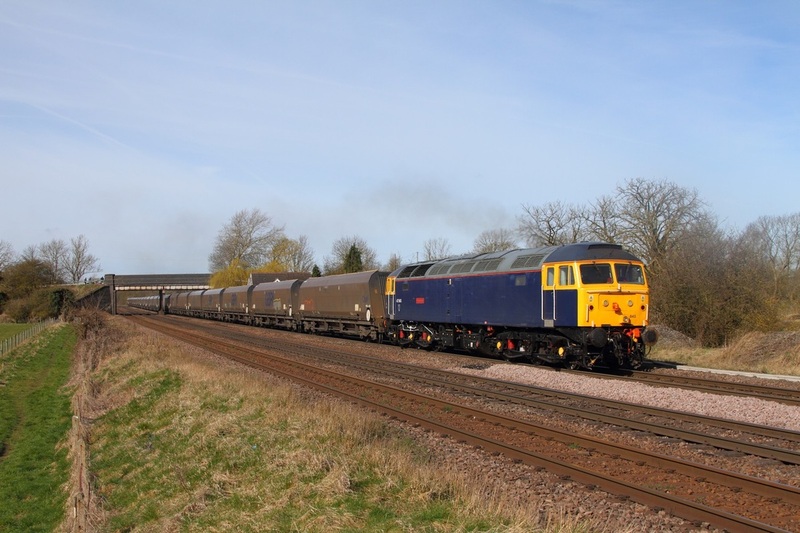 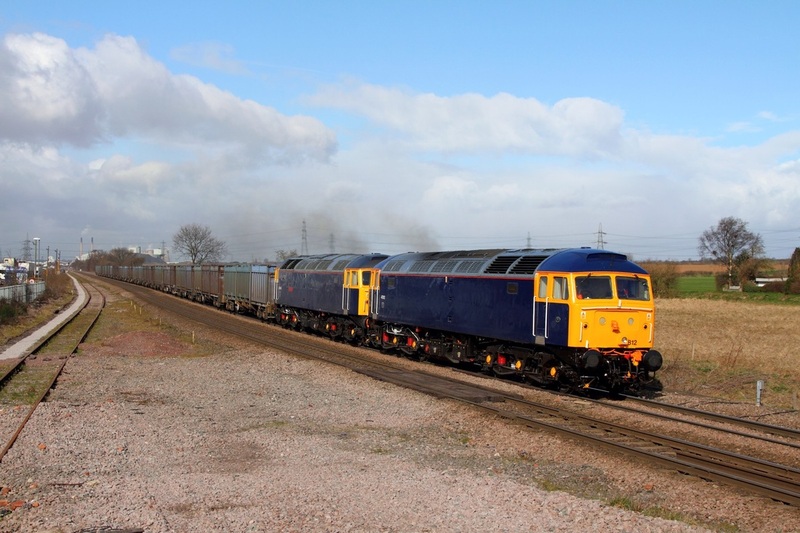 Colas liveried 56113 hauls the 6S96 Sinfin to Grangemouth at Willington on the Uttoxeter on the 23rd April 2015. Location choice inspired by Jason Rodhouse. 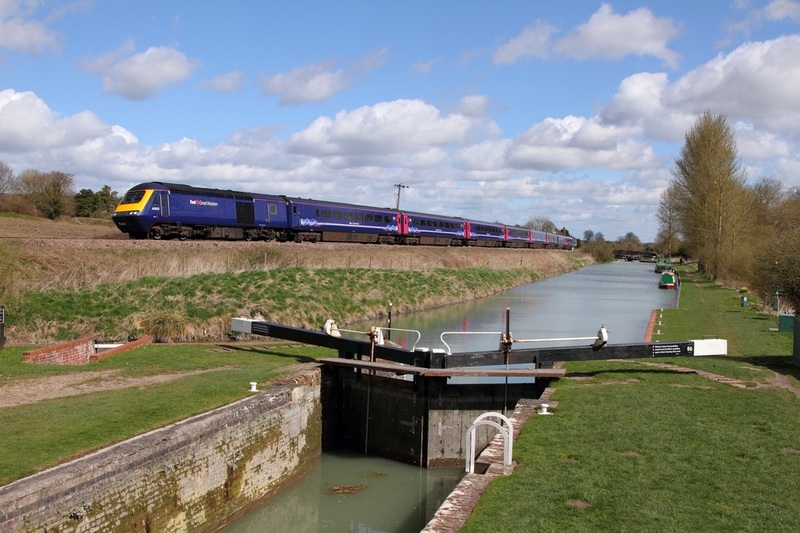 The AC Locomotive Group's 87002 now sporting the new Caledonian sleeper colours heads the 1M16 Inverness to London Euston at Blisworth on the Northampton avoider on the 21st April 2015. Good to see Jonathan Lewis as always. 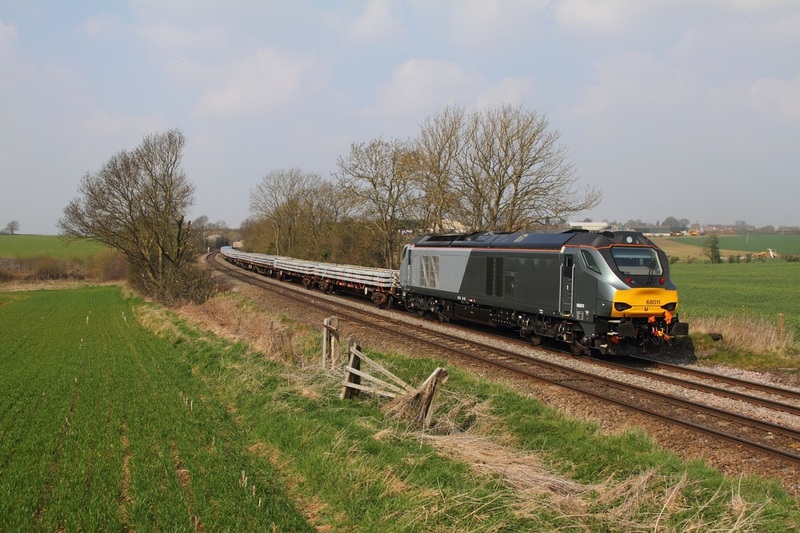 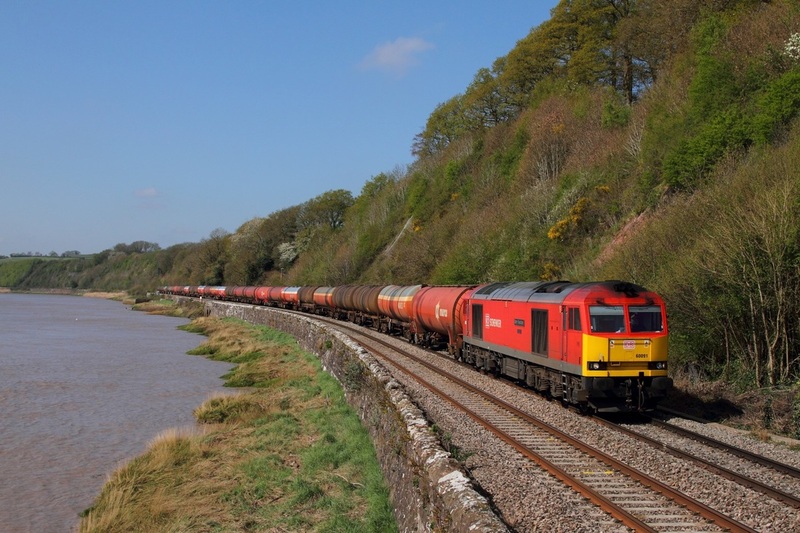 DB Schenker's 67023 makes an appearance on the WAG express as it hauls the 1W96 Cardiff Central to Holyhead at Llanellen, Abergavenny on the 20th April 2015. 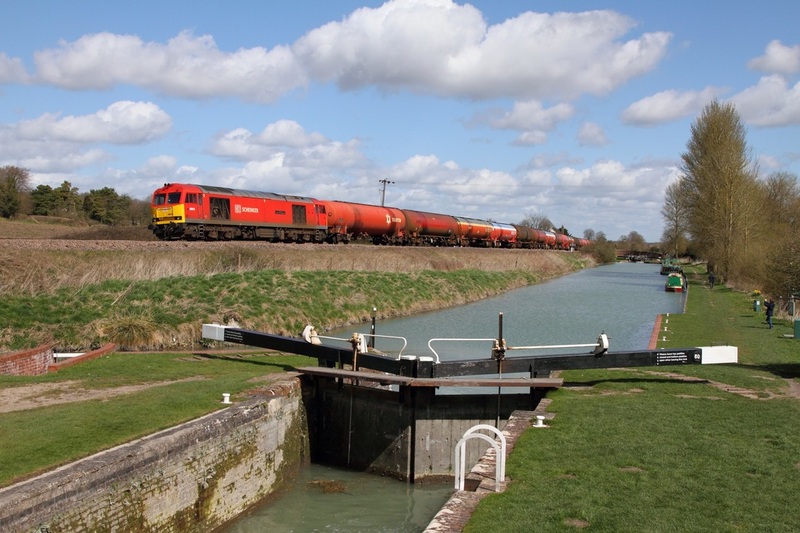 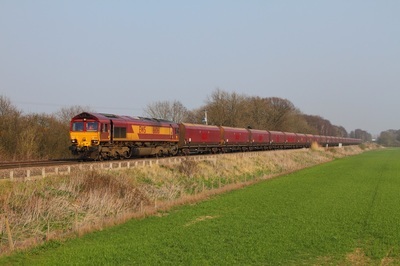 DB Schenker's 60091 glides through Gatcombe powering the 6B13 Robeston to Westerleigh loaded murco bogie tanks on the 20th April 2015. 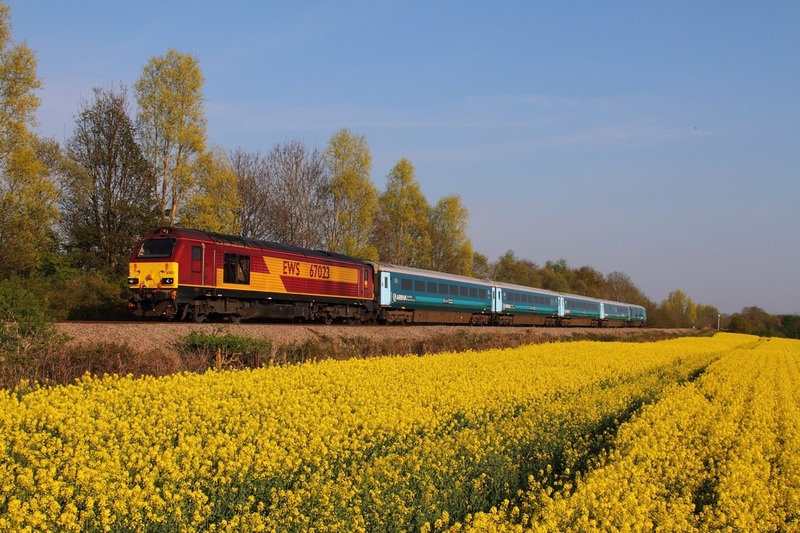 43021+43015 on the 1C79 1106 Paddington to Plymouth at Crofton on the 11th April 2015. 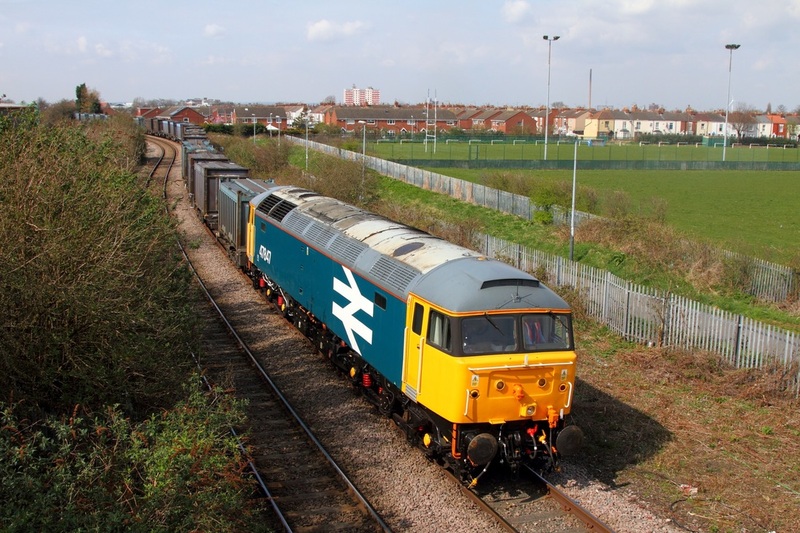 Large Logo 47847 works Doncaster to Hull! 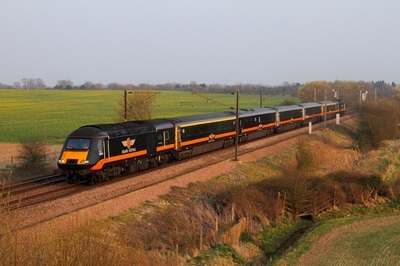 Riviera Trains' 47847 hired in by GBRF passes Brickyard lane, Melton working the 4D94 Doncaster to Hull on the 8th April 2015. 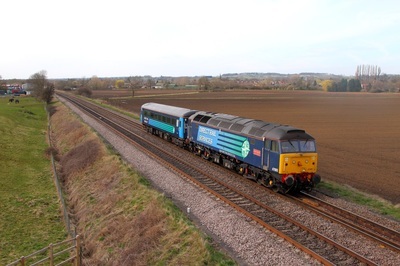 Many thanks to Jack Beeston for his kind help this afternoon. 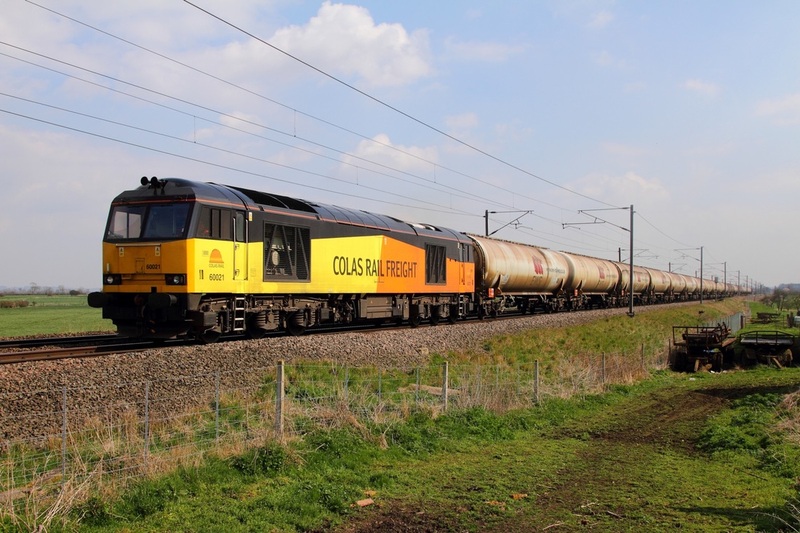 Colas Rail liveried 60021 accelerates away from Claypole loop working the 6E21 Rectory junction to Lindsey on the 7th April 2015. 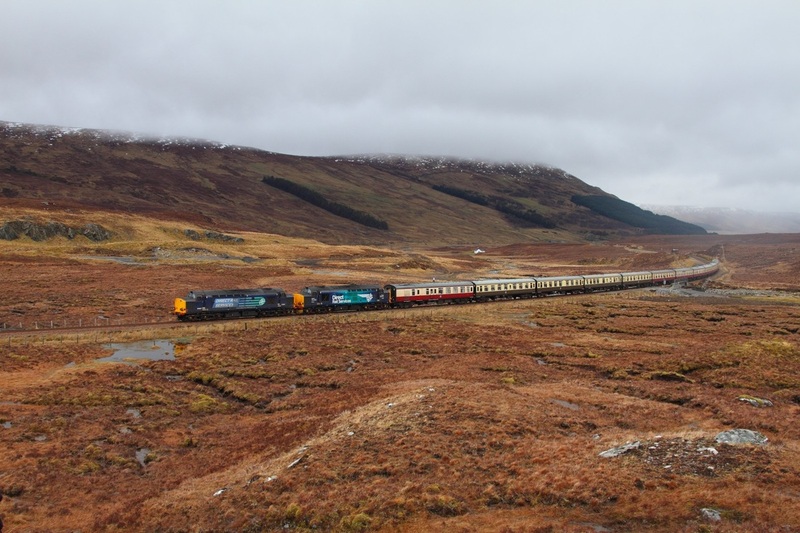 Many thanks to Jonathan Lewis and Murray Lewis for their kind help throughout the trip. 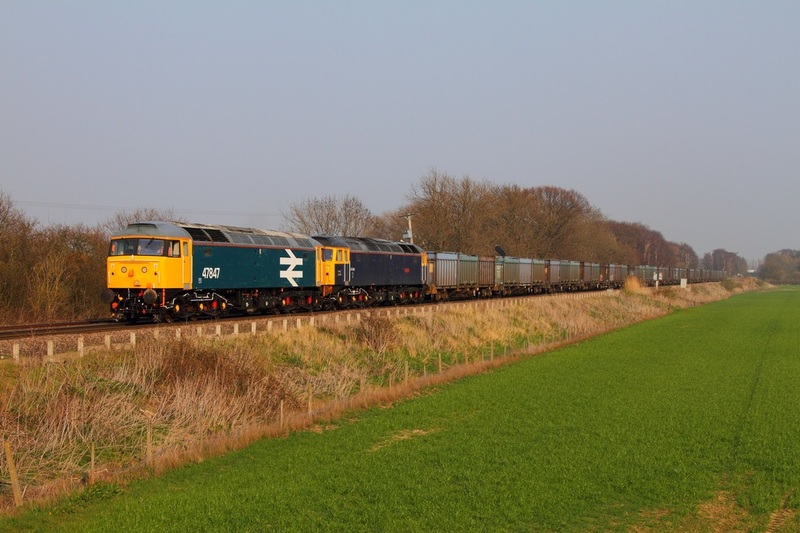 DRS 37607 leads 37218 on the 1Z73 Inverness to Eastleigh at Greenholme on the 6th April 2015. 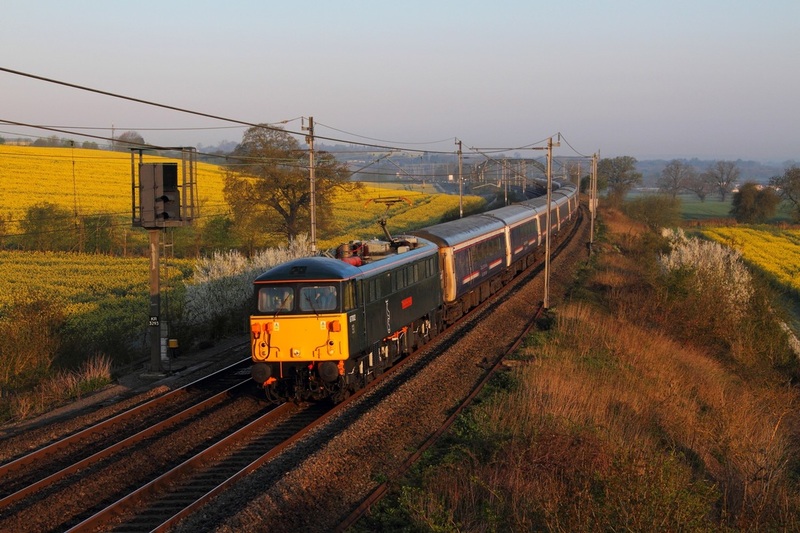 DRS 37607 leads 37218 on the 1Z73 Inverness to Eastleigh at Forteviot on the 6th April 2015. 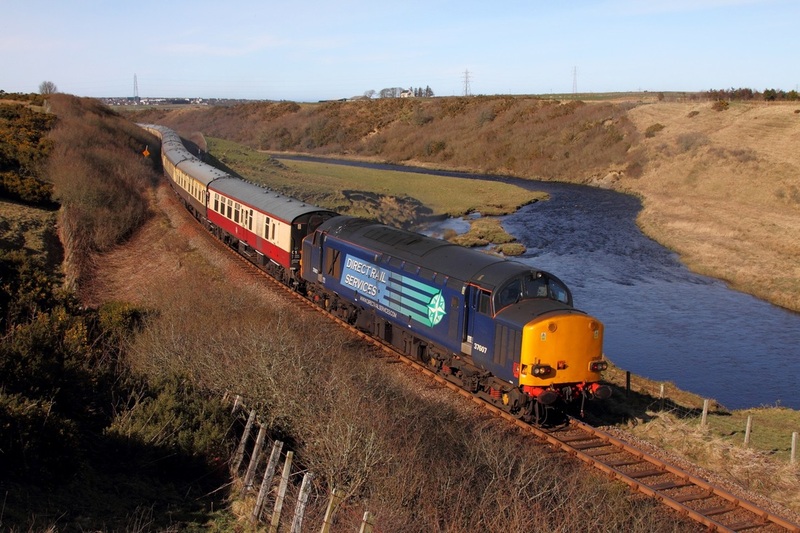 DRS 37607 leads 37218 on the 1Z73 Inverness to Eastleigh at Druimuachdar on the 6th April 2015. 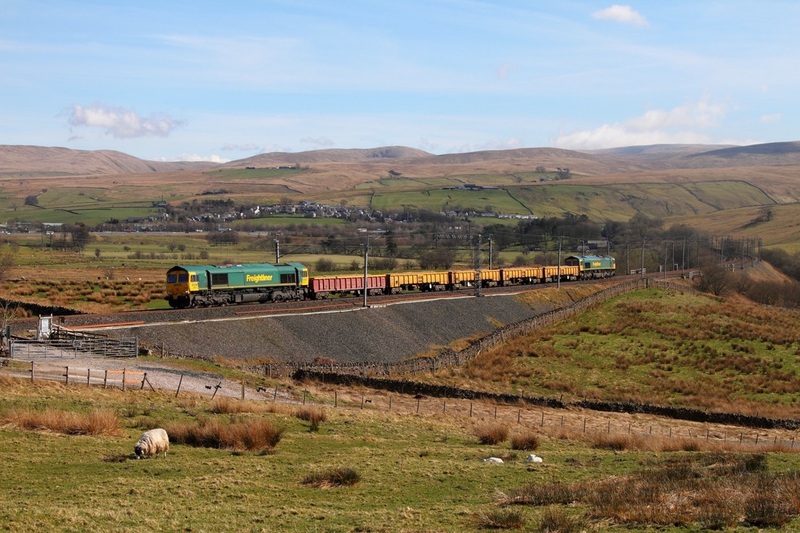 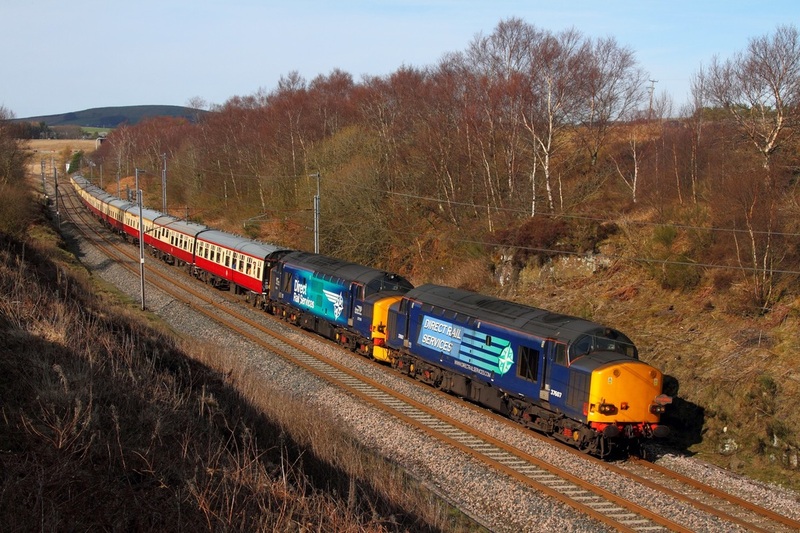 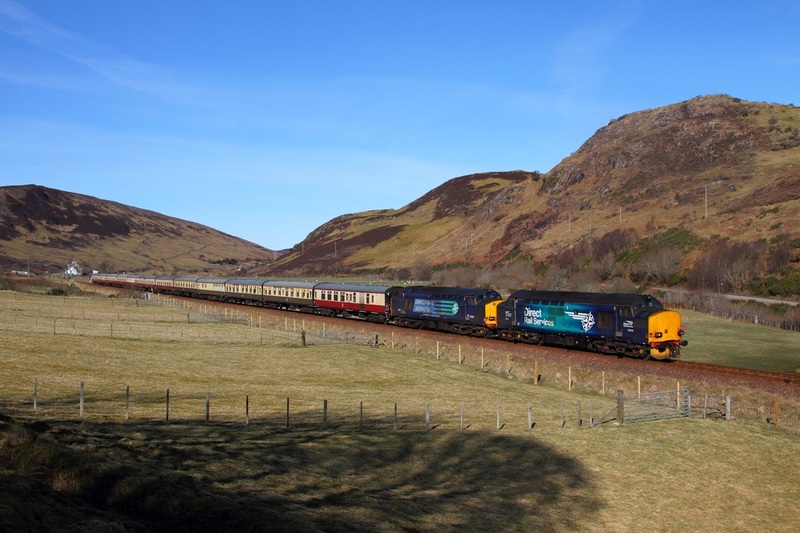 DRS 37218 leads 37607 on the 1Z71 Inverness to Wick via Thurso at Rogart on the 5th April 2015. 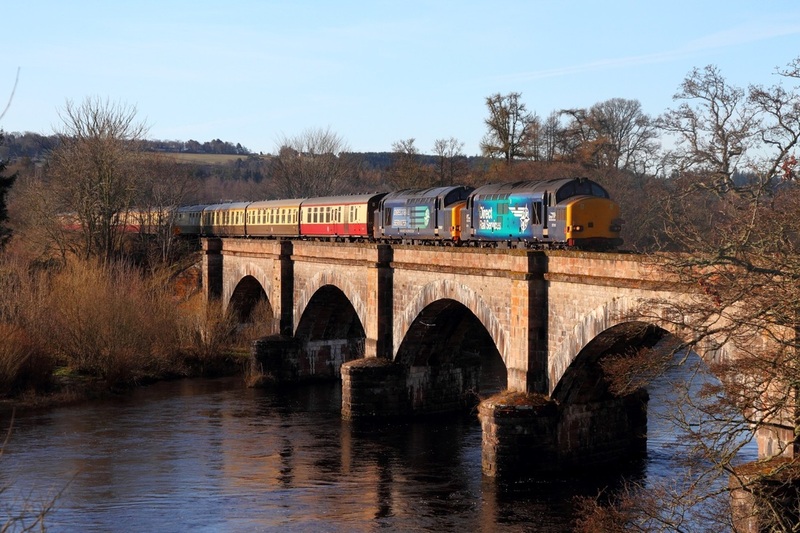 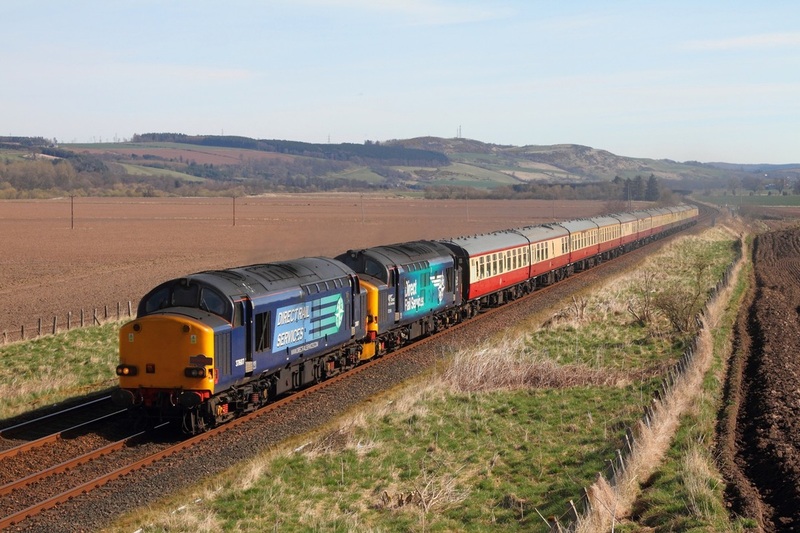 DRS 37218 leads 37607 on the 1Z71 Inverness to Wick via Thurso at Conon bridge on the 5th April 2015. 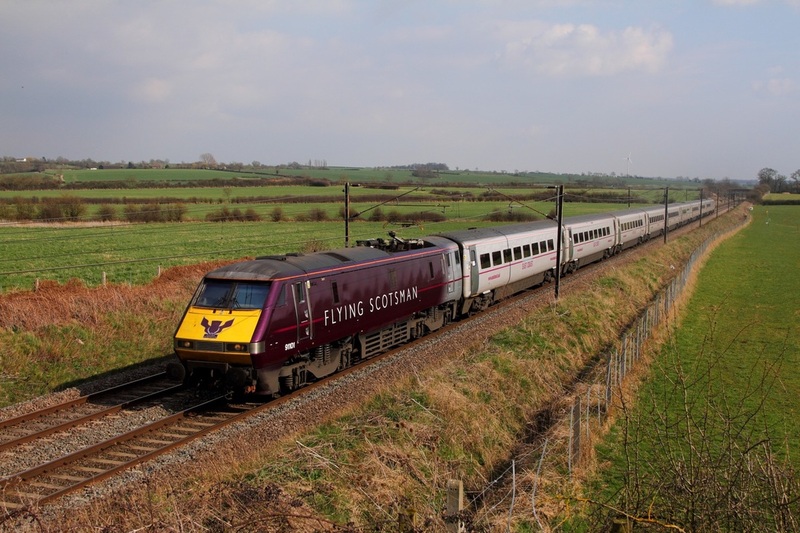 DRS 37607 leads 37218 on the 1Z71 Inverness to Wick via Thurso at Geise on the 5th April 2015. 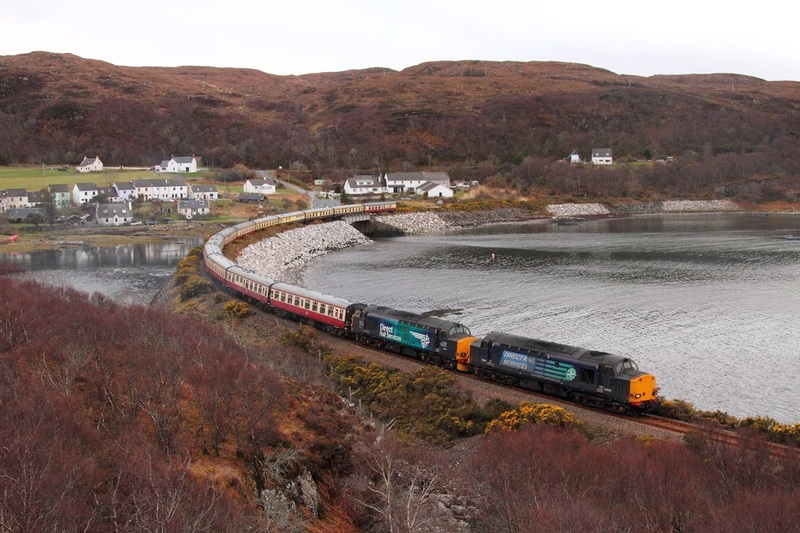 DRS 37607 leads 37218 on the 1Z70 Kyle of Lochalsh to Inverness at Erbusaig on the 4th April 2015. 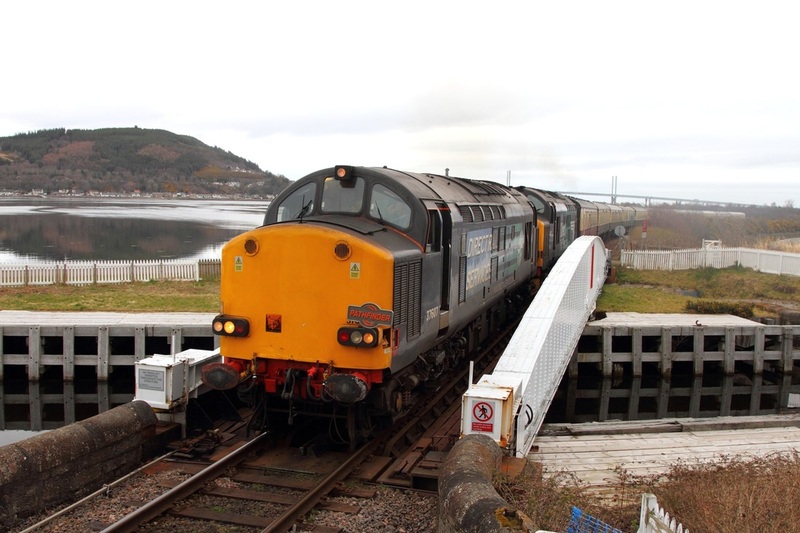 DRS 37607 leads 37218 on the 1Z69 Inverness to Kyle of Lochalsh at Stromeferry on the 4th April 2015. 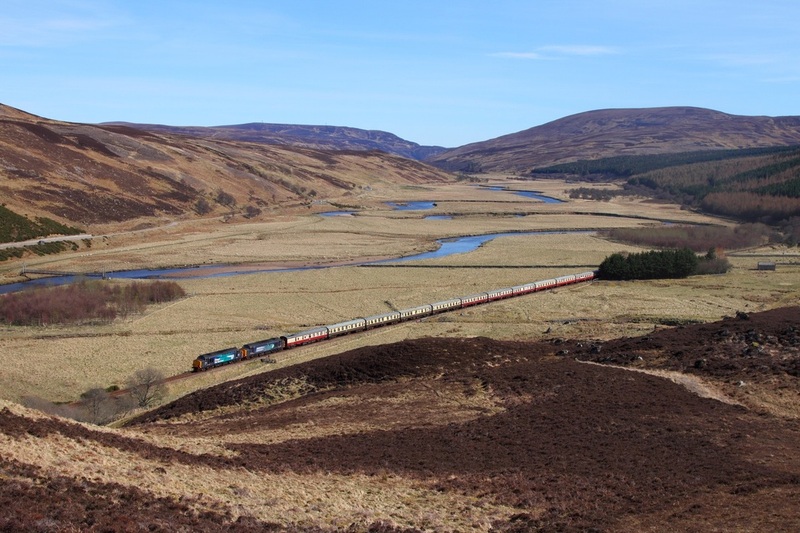 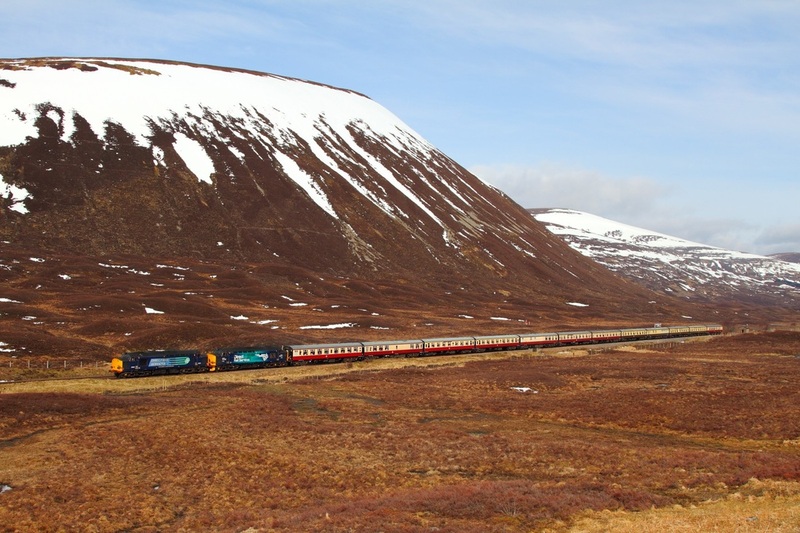 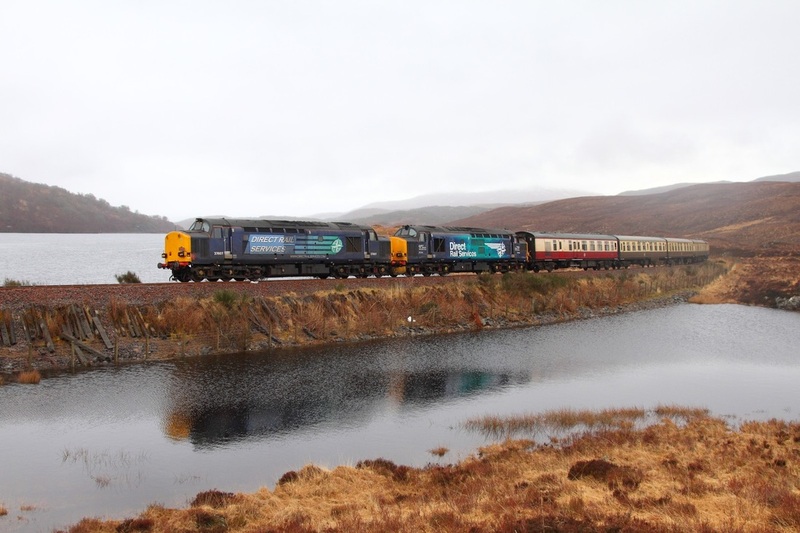 DRS 37607 leads 37218 on the 1Z69 Inverness to Kyle of Lochalsh at Luib summit west of Achnasheen on the 4th April 2015. 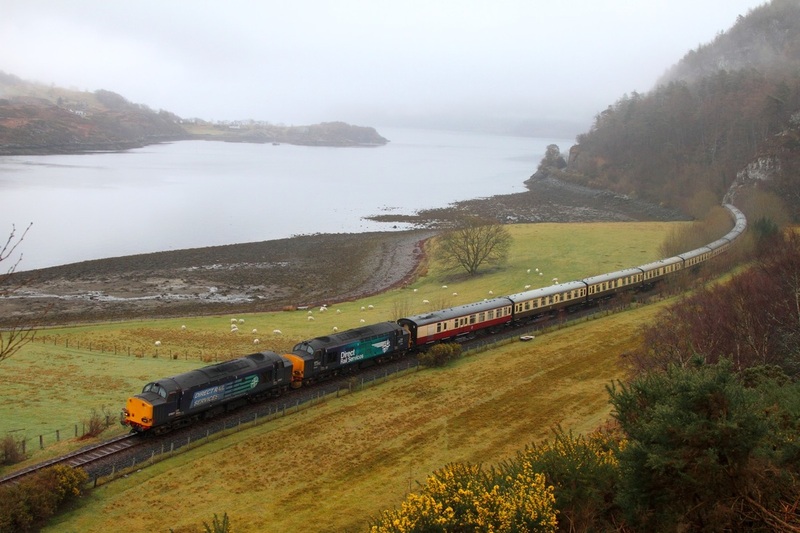 DRS 37607 leads 37218 on the 1Z69 Inverness to Kyle of Lochalsh at Loch Achnahalt on the 4th April 2015. 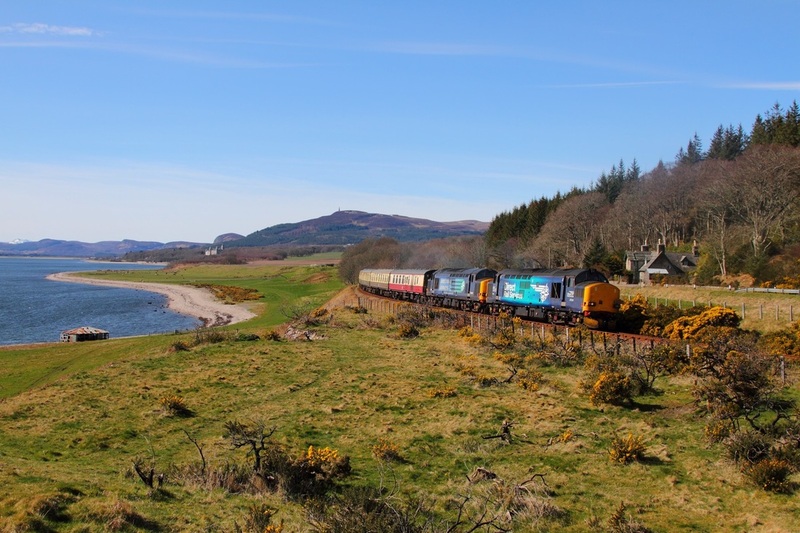 DRS 37607 leads 37218 on the 1Z69 Inverness to Kyle of Lochalsh at Clachnaharry on the 4th April 2015. 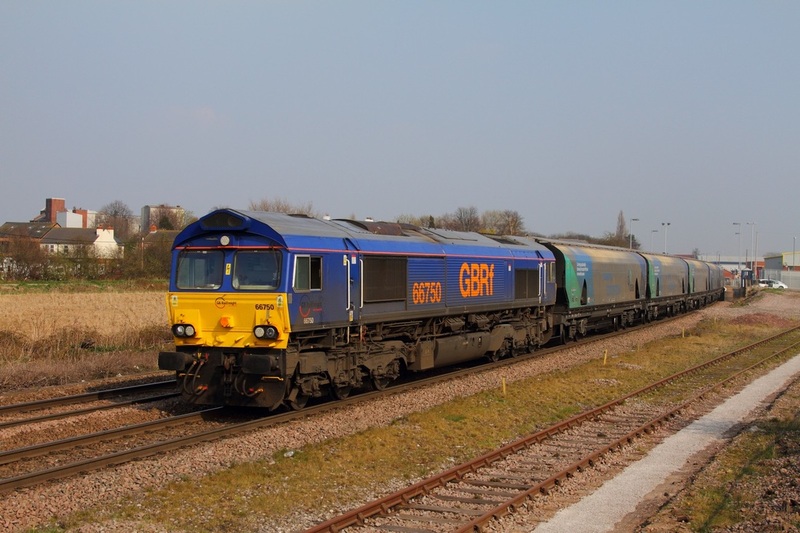 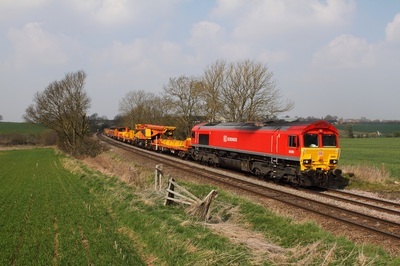 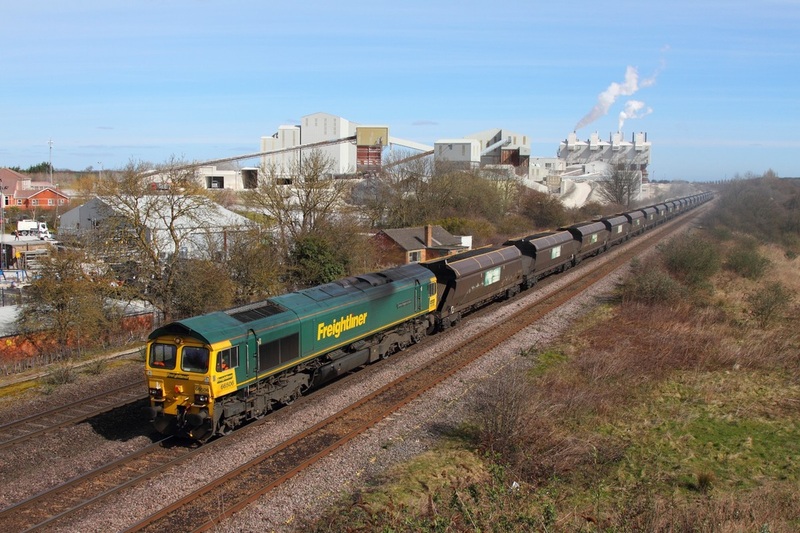 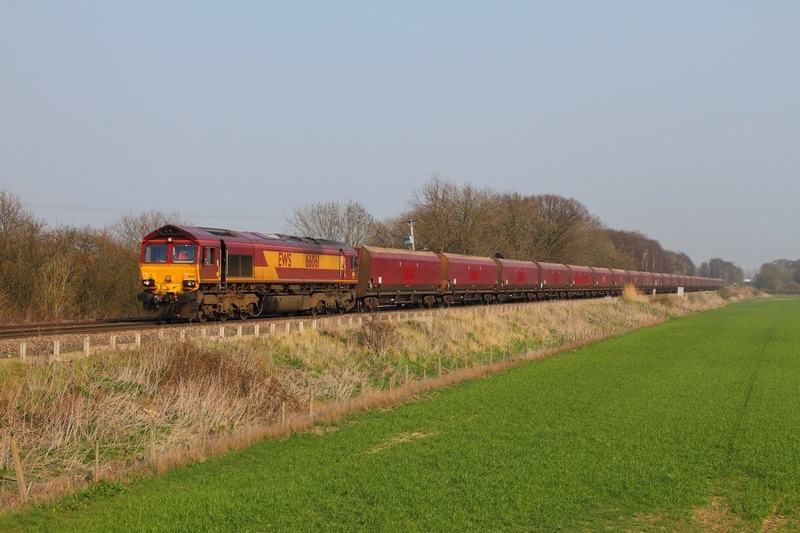 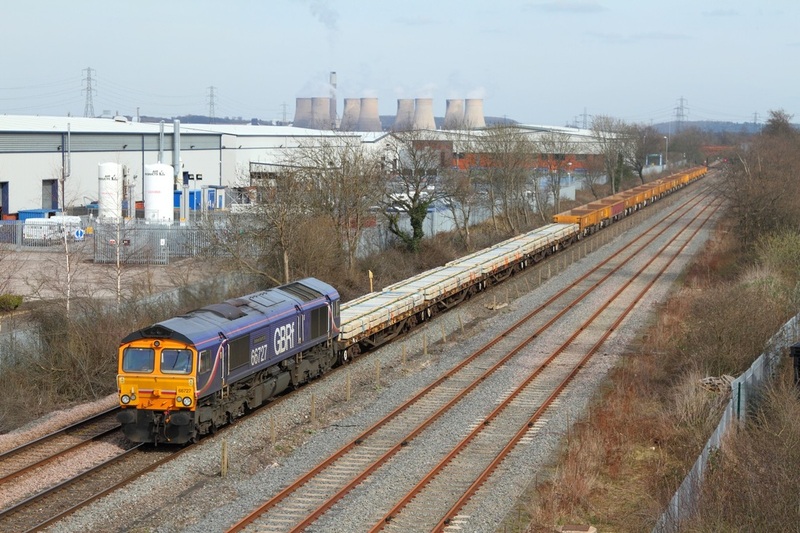 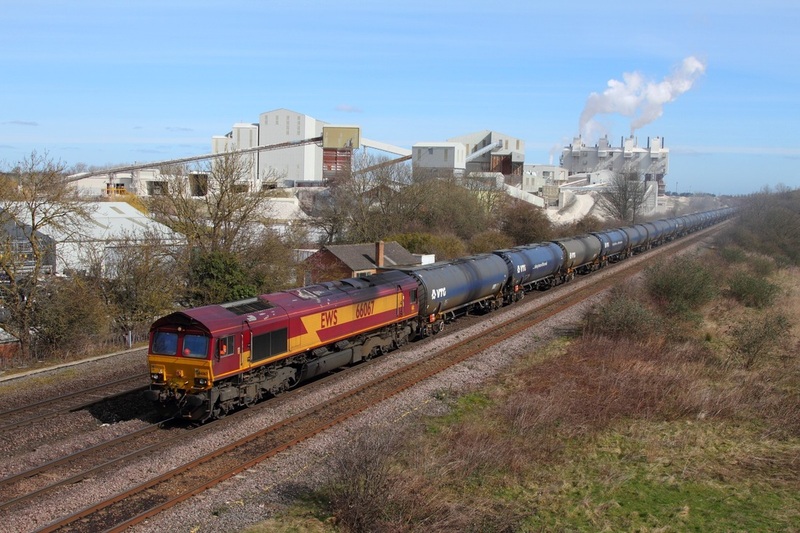 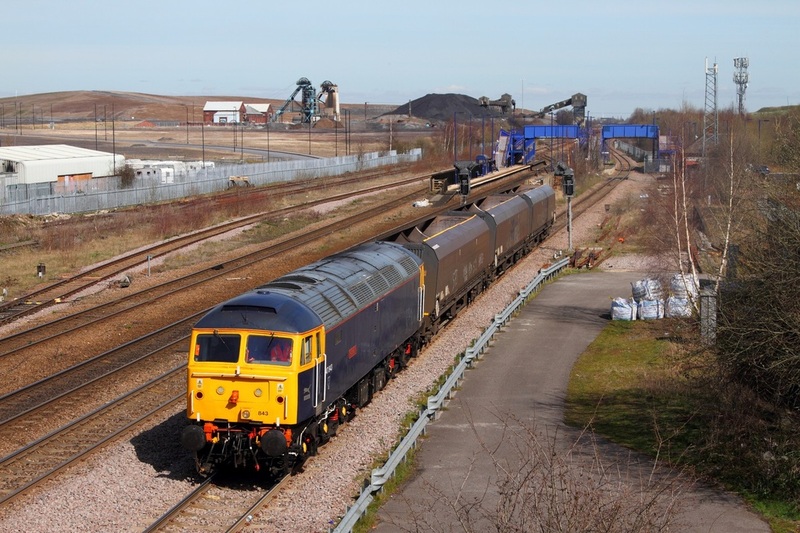 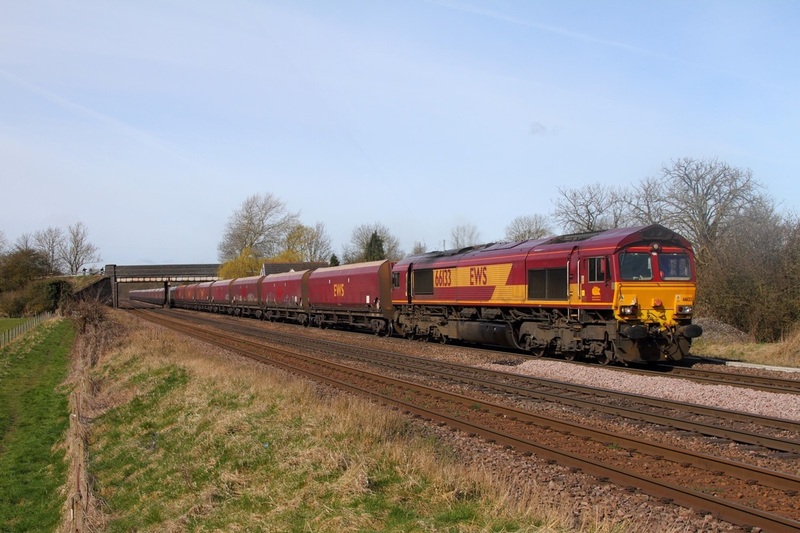 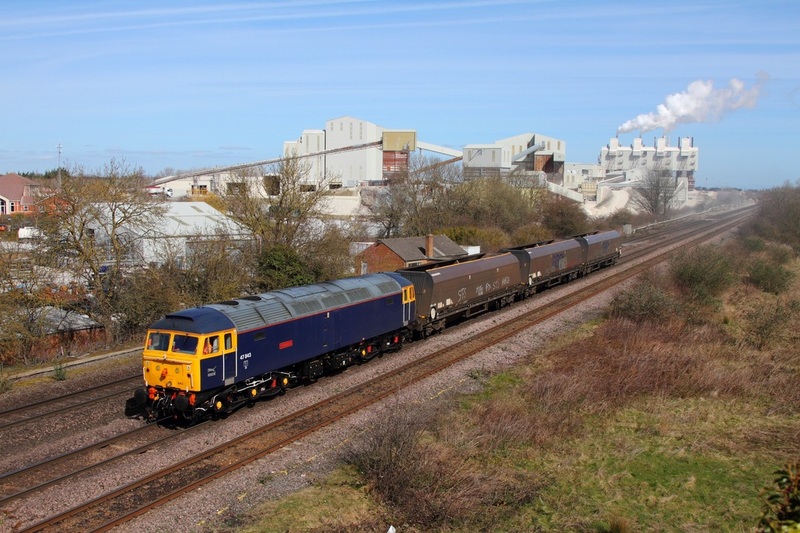 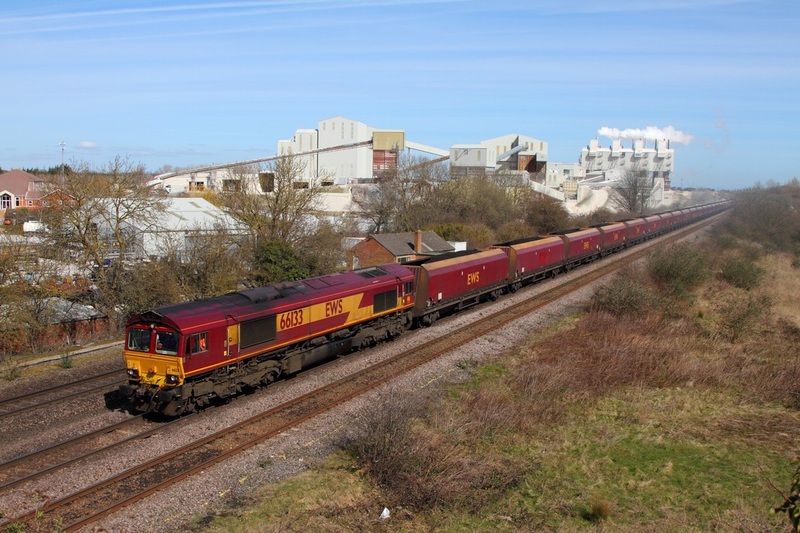 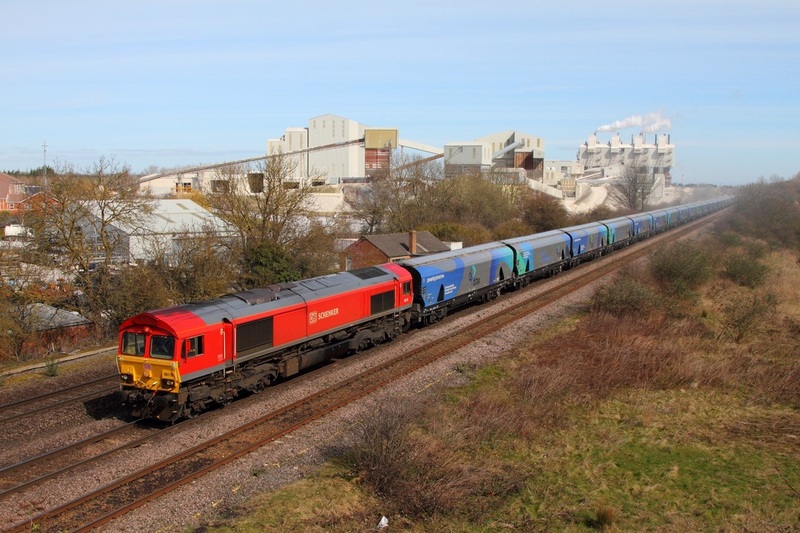 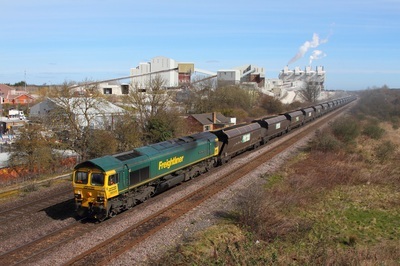 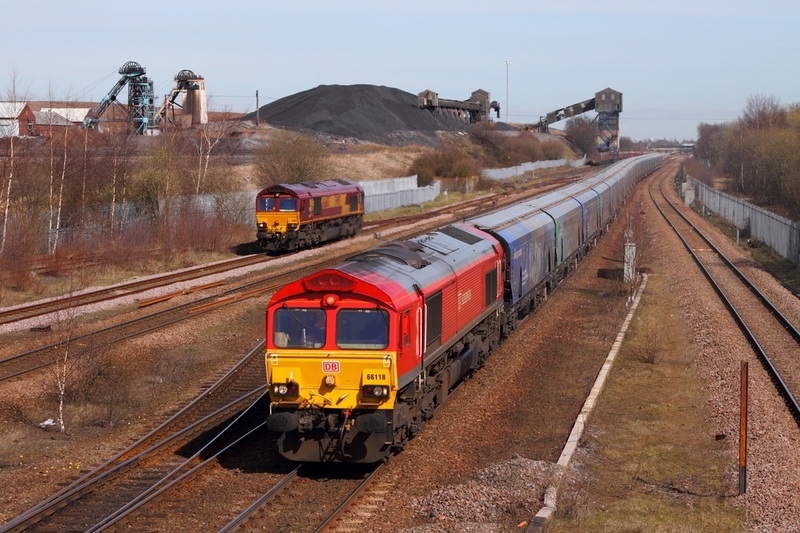 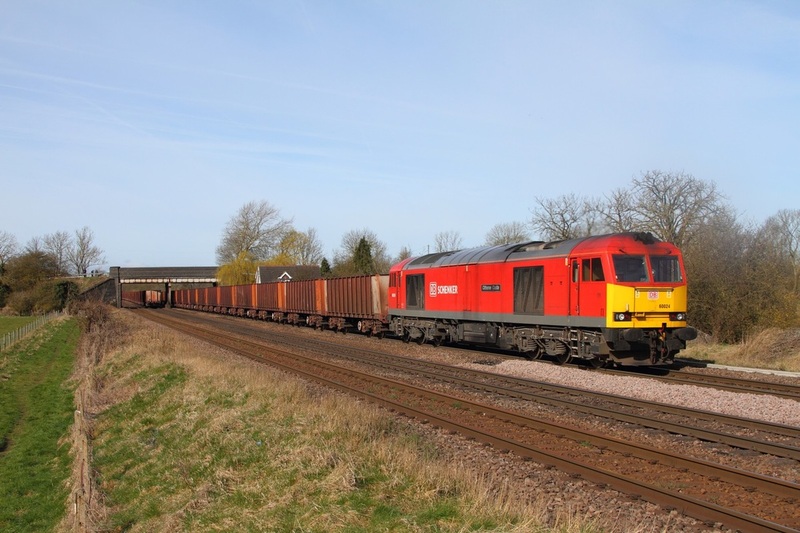 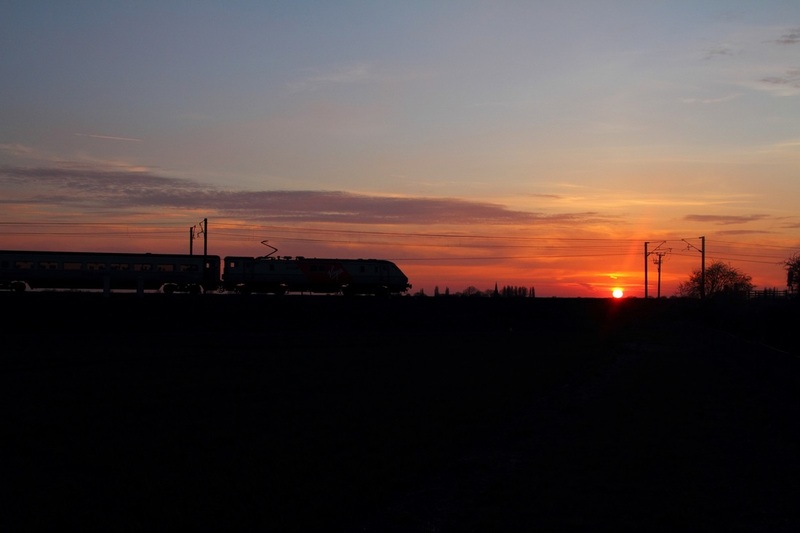 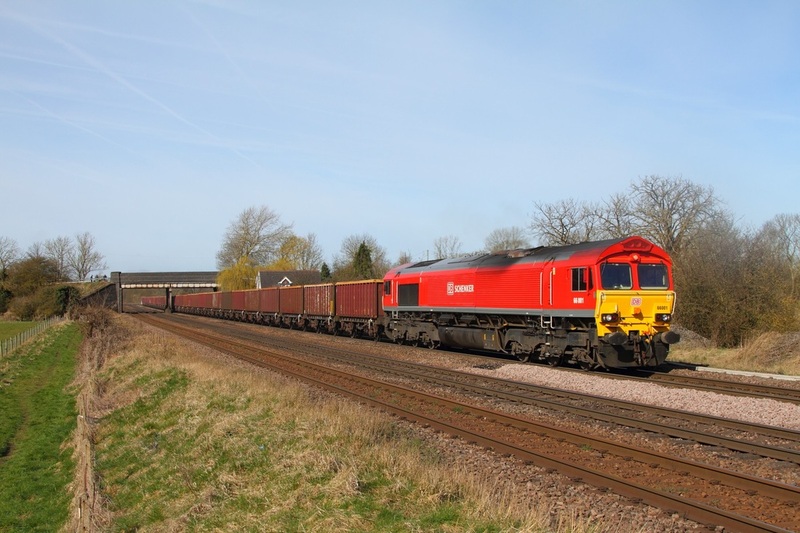 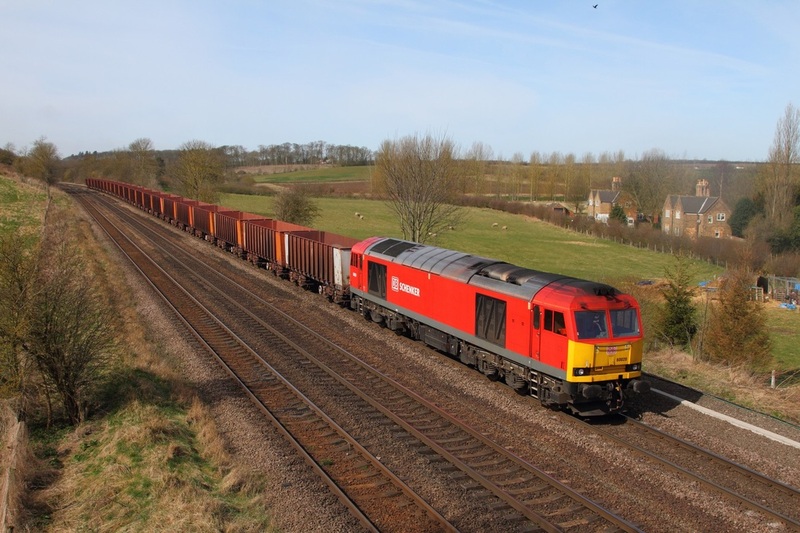 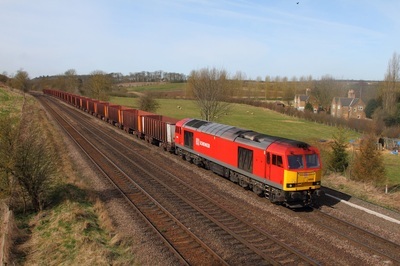 DB Schenker liveried 66118 working the 4H63 1215 Immingham to Milford west sidings passes 66160 which will later work the 6H14 15:14 Hatfield main mining to Drax PS at Hatfield and Stainforth on the 2nd April 2015. Riviera Trains liveried 47843 Vulcan powers the 4D16 1200 Immingham Docks to Doncaster Decoy at Hatfield and Stainforth on the 2nd April 2015.